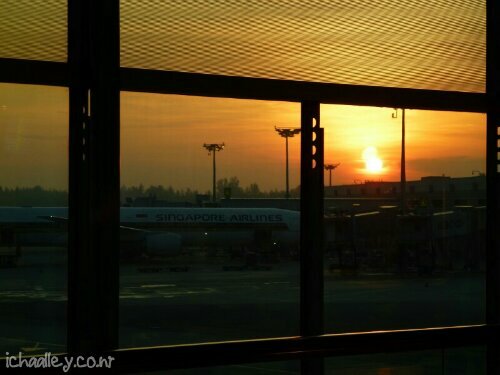 Changi is chosen as the best airport in the world for a reason and for the last few hours i’ve been experiencing those reasons. I’m on my way to Cebu and transit overnight in Singapore, was thinking about staying at the hotel in the city but nah uh, i’m too stingy to pay taxi to the city, hotel room, and taxi back to the airport. So i decided to camp at the airport. 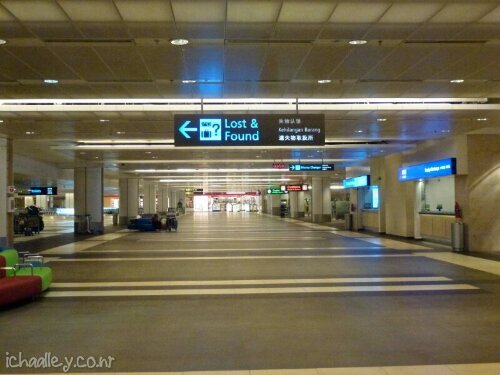 After a brief research i found out there are 3 options if you have an overnight transit in Singapore. First would be staying in the city which i already ruled out. If your bags aren’t checked through then you can still use the hotel or free rest area in the transit area then go through immigration after your stay. Collect your bags from the lost and found baggage area if you have checked in bags (there are always mountains of bags there and alot of security), exit customs and catch the escalator upstairs to check in your bags and receive your boarding pass. 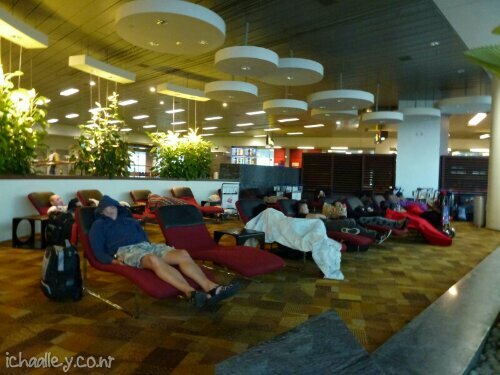 Third option would be to clear immigration, collect your bags and use one of the external hotels (Crowne etc) or rest in the crappy bench outside the secured area, then check in after your rest. I of course took door number 2, this would be my first time camping out in an airport, i arrived at T2, went straight to the transit mall, don’t worry about ATMs if you don’t bring any SGD, they have plenty of ATMs throughout transit area, my tips would be go to OCBC because the have small bank notes as small as 10$. I then went shopping, from electronics (needed Sennheiser earphone) to beauty stuff (Lancôme for mum) to clothes (Cotton On tees for me). Time does fly when you’re shopping, it’s time for me to sleep.. I headed to gate E5 in the south and again don’t worry about getting lost in this massive airport, they have clear signs. 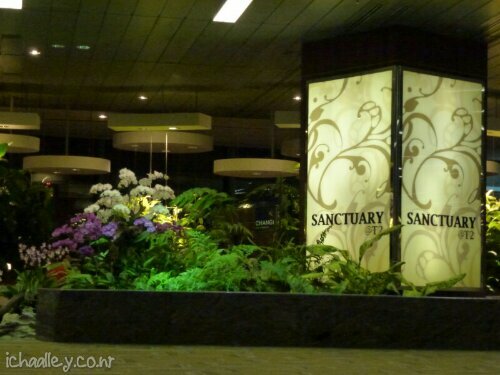 Just in front of gate E5 there is a rest area called Sanctuary where you can sleep in a comfy lazy chair, surf the internet, or just sit reading a book. My tips is bring scarf or pashmina or blanket and socks because it’s freewzing cold at night, i brought a sleeping bag, pashmina, and socks and i slept splendidly. If you bring tablet or phone or laptop, try their wifi, it’s just plain woohoo! I downloaded songs with speed like it was downloading 1kb files. Shopping done, sleeping done, downloading done. It feels like something is missing. Ah of course, claiming my bag and checking in. So i followed the ‘Arrival’ sign, got my passport stamped, stopped for awhile to watch luggage carousels which are handling thousands of luggage every single day, 24 hours a day. Ok, back to business, i headed to ‘Lost and Found’ counter and found my bag sitting, waiting, wishing for me to pick it up. Put in my sleeping bag and stuff, checking it in. Now all’s done, i just need to go upstairs and check in. Well, still plenty of time until my boarding time. What other free stuff i can do with.. maybe it’s relaxing time. I found a massaging chair, just what i need. You can use it as long as you want, since it was very early and not too many people around i wrote this while was enjoying foot massage, yep that long. My tips this time would be, simply don’t be ignorant, 15 minutes of using it considered long enough in the busy time. All done but i still have time left, what else should i do. Last but not least, enjoying 24 hours movie theatre, yeah they have it, and yeah those with big screen, amazing huh? But i only use it to catch another z’s, oops.. They have cinema at T2 and T3, but went to cinema at T2 since i was too lazy to catch skytrain to hop into another terminal, maybe on my transit back i’ll do it. Alrighty, my tummy is starting to rumbling i think it’s time for breakkie! Just go to level 3 they have many choices, and some of them are also 24 hours, like Subway and coffee shops.